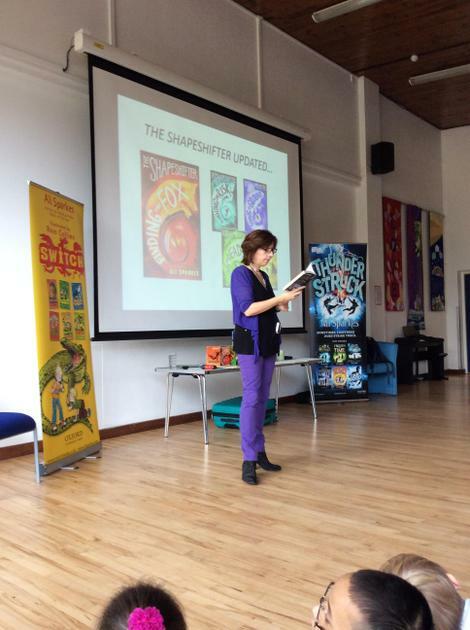 To launch the start of our curriculum week - New Lives, New Places, New Adventures - we had the author Ali Sparkes visit St John's. 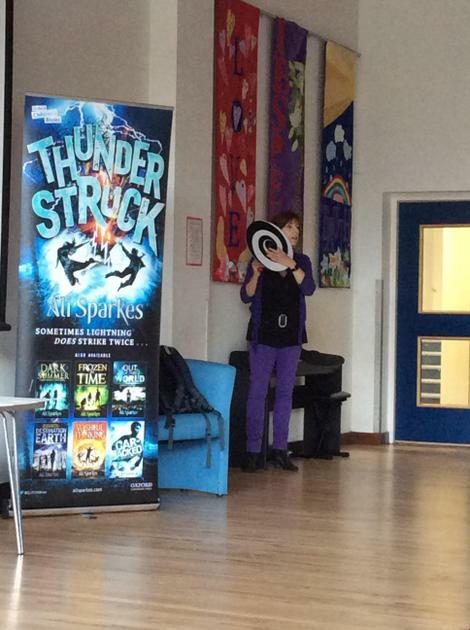 Ali led an assembly where she told us all about how she became an author. It was a journey that started with her being the worst reader and writer in her primary school and spanned working as a reporter for the Southampton Daily Echo, through to working on BBC Radio 4 and then finally making it as an author. 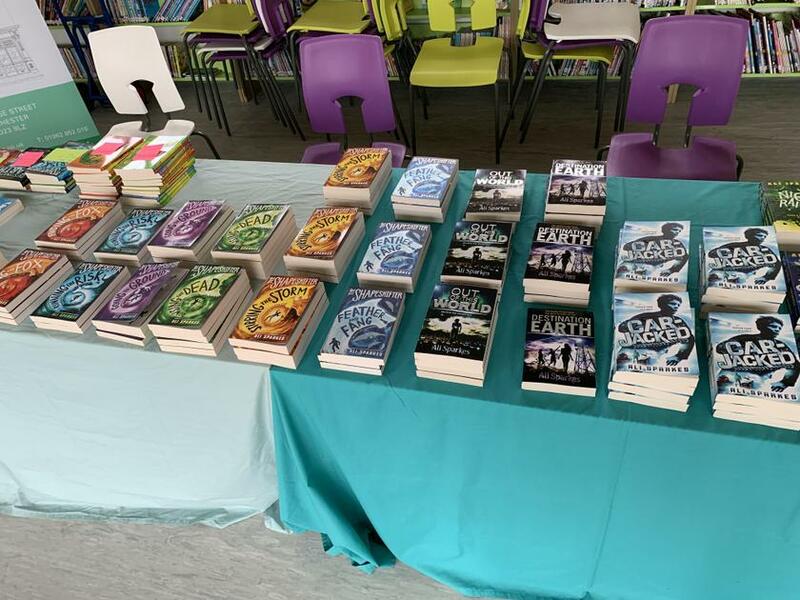 Ali told us about all the rejection letters she has received over the years as she struggled to get her work published and how she always kept on trying and believing she could make it. 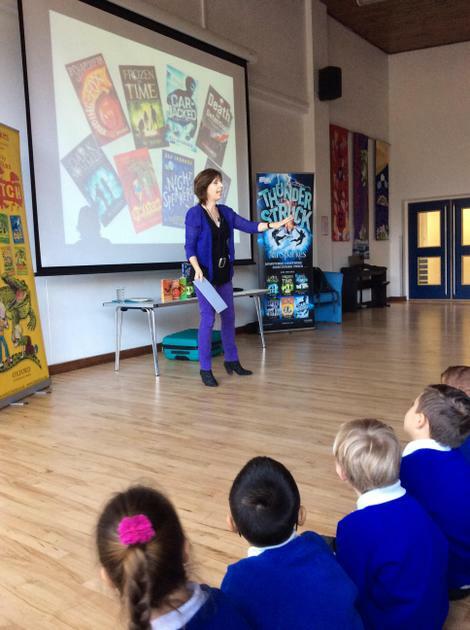 She finished the assembly by reading an extract from one of her books and answering questions from the children. During the rest of the day Ali worked with several classes on writing workshops and the children have gone away really enthused to continue their own stories. 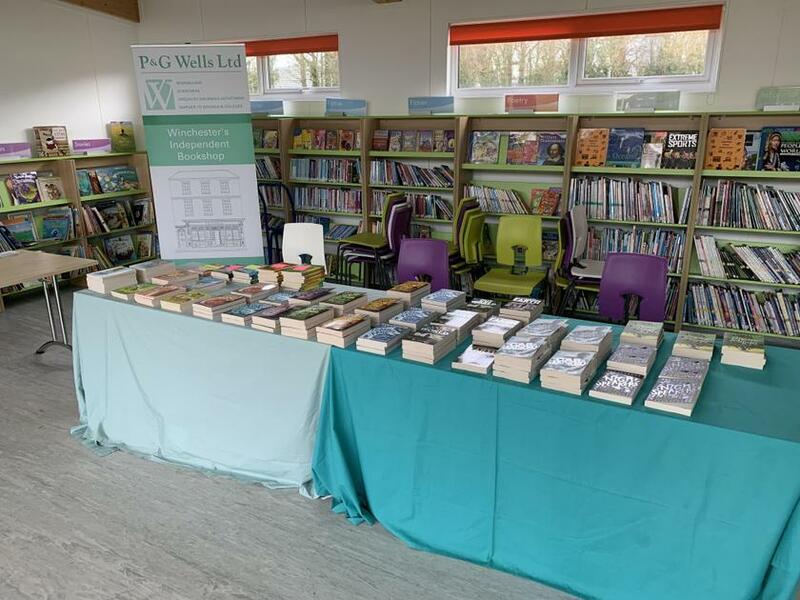 She was also on hand to sign copies of her books which were available to buy in the library thanks to P&G Wells Independent Bookshop. It was a fantastic start to what promises to be a brilliant week! Keep your eye on the website for more pictures and updates throughout the week!